What’s up with the new Node.js fork IO.js? The collaborative fork of joyent/node was created by Fedor Indutny, a key Node.js player who is responsible for some of the most important parts of the Node.js runtime. The decision to fork is said to be motivated primarily by Node’s recent lack of releases and the influence of the Joyent Advisory board, who purchased the Node.js copyright and trademark in 2010. 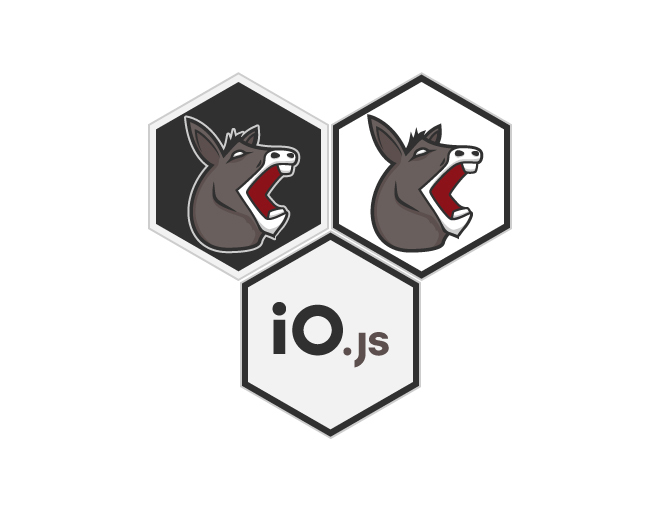 Work has already begun on the IO.js logo on Github – here playing on the “eee-aww” sound of a donkey. The initial aim of this effort was to create a collaborative fork under the name Node Forward. However, the team were informed by Joyent CEO Scott Hammond that the fork would run into legal trouble if they decided to use Joyent’s trademark ‘Node’. Now, barely a few weeks after the inception of IO.js, dozens of developers have already posted open-source logos for IO.js on Github with many more debating the best choice on Twitter. Although the IO.js fork is considered a major blow to Node.js, former Joyent employee Isaac Z. Schlueter says Node Forward does not aim to compete with Node.js or Joyent. I’m one of the first people to put io.js into production at scale. However, Schlueter believes that someday Node.js will be reunited once again with the IO.js faction, as soon as Joyent is ready to let others participate in the decision-making process. Either way, the field of Node.js is about to change.